Christmas simply isn’t the same without a festive candle burning that fills the room with a crisp pine scent, spicy clove and cinnamon aromas or musky ambers and woods. From both luxurious limited edition collections with a hefty price tag and affordable picks that still pack a punch, here are my must have candle this year to have burning when you’re snuggled up by a roaring fire, at your Christmas party/dinner table or even whilst you’re having a long pre-Christmas bath. 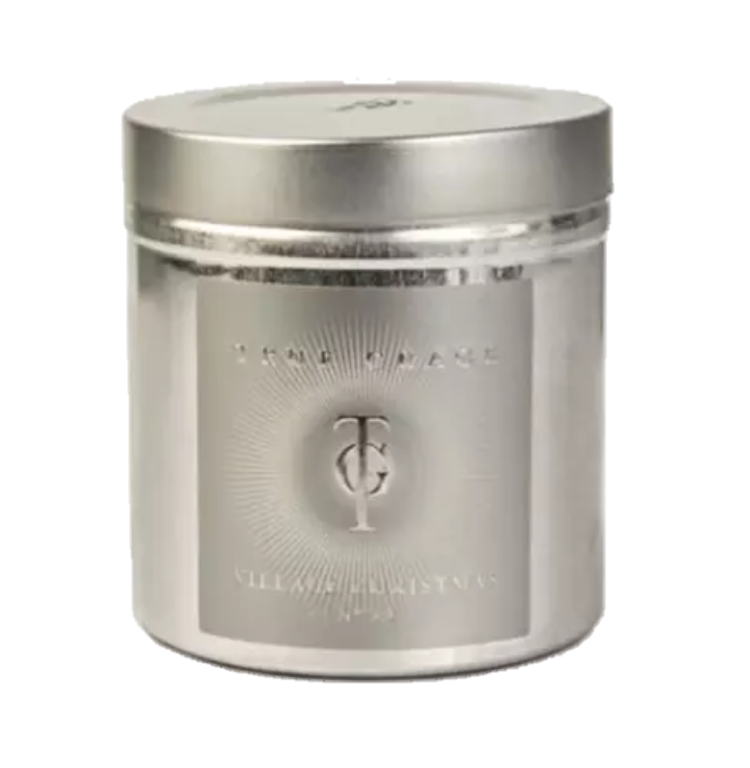 True Grace Christmas In The Village: A warming Christmas candle with notes of cedar wood, vanilla, fir and spicy clove aromas in a shimmering silver tin. Bella Freud Stary Nights: A heavy, captivating evening candle with strong scents of Frankincense, Agarwood and Cedarwood, whilst the Ginger musk, Nutmeg and Tonka bean add warmth to this Christmas candle. Neom Perfect Peace: The ultimate Christmas scent comes from this Pine, Myrrh and Lime peel scented candle from Neom. This year, Neom have used metallic bronze packaging to further give off that Christmas look as the candle stands above the fireplace. Diptyque Pine Tree of Light: A joyous, fresh smelling and uplifting scent of Pine that perfectly scents a room. Diptyque have outshone in the candle department again this year with their exquisite festive packaging. Byredo Woods: This ‘woods’ scented luxury candle from Byredo perfectly captures the smell of smokey woods with it’s Tuscan Leather infusion. A candle that sits proud on any mantlepiece in it’s chic packaging. The White Company Winter: Enticing clove and cinnamon aromas are the perfect burning candle as you’re curled up by the fire with a hot drink. Winter is The White Company’s best selling festive blend for a reason as the spicy and fresh orange notes create an inviting Christmasy home. Anthropologie Fir & Firewood: Like walking through a pine forest with a crackling fire in the background, this affordable metallic green potted candle is the perfect addition to any room this Christmas. & Other Stories Poème Sulfureux: With notes of clove buds, black amber, vanilla flower and white birch, this spicy aromatic candle is a great luxury alternative that still burns well, adds a strong scent around the house and looks chic in it’s matte black packaging. Skandinavisk Skog: Norwegian for ‘Forest’, Skog is the ultimate woodland, pine needle and spruce scent that smells just like a Christmas tree. The perfect candle to burn until you’ve got the tree scenting the house for you.